Karen L Messick Photography: Looking up! Well, I have not been doing much shooting lately, as I have been bz! Getting my little rental house ready for sale, and it is looking up! One more day of painting and a final clean up on Monday and I am walking away and hoping the real estate agent gets it done! I am looking forward to the Annapolis Workshop I am conducting tomorrow for Penn Camera. I have 11 folks and its supposed to be a great day weather wise. Good for reflections and sails, ships details, lines and blocks sky and scenic streets ...looking forward to it! I am also looking forward to the first Ravens Game Day Party Sunday at a dear friends home! She is the absolute biggest Ravens fan I know! and it is so much fun to be in her presence when a game is being played...almost better than the game itself! 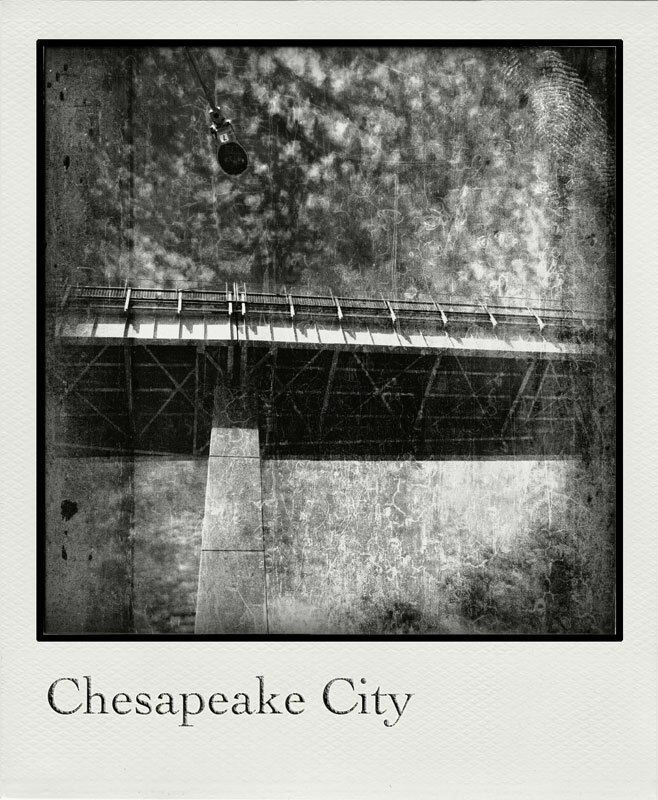 The blog image is one I made when I had a day of photo therapy in Chesapeake City. Processed in Photoshop for the textures and border and then run through Poladroid for a fun effect....and as a reminder when you are out shooting don't forget to look up! Oh and my new digital projector and screen has arrived....ready for some beach photo workshops to be on schedule soon!